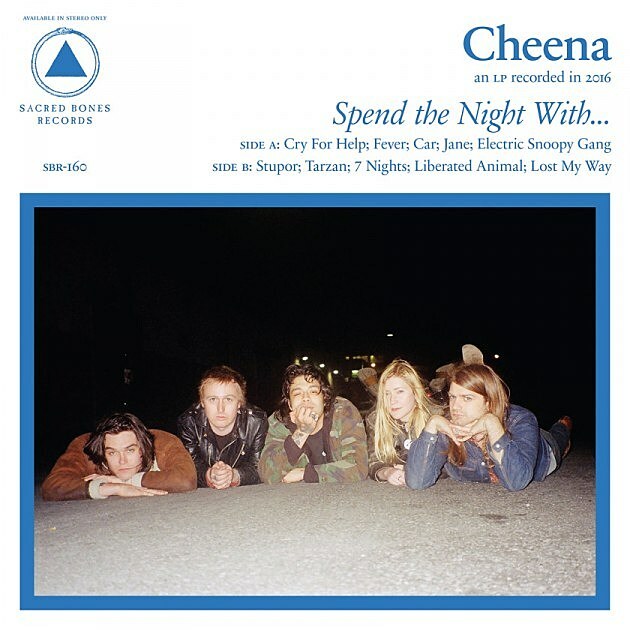 Underground punk supergroup Cheena are getting closer to the release of their . They just played NYC with GØGGS, and they also recently shared a second song from that LP (following the excellent “Car.”) This one is called “Stupor,” and there’s a lo-fi video for that one as well. The song hits a familiar sweet spot of catchy and fuzzy, and you can check out that video below. The new LP Spend the Night With… drops on August 5 via Sacred Bones. Meanwhile, noise great Pharmakon, who is also in Cheena, has a show coming up in NYC. She’ll be playing Trans Pecos on August 7 with fellow noisemakers Shredded Nerve, Jane Pain, Dolce, Scant, Copley Medal and DJ Nikki Sneakers. Tickets for that will be available at the door. Cheena have a run of West Coast dates behind the album. All dates are listed, along with the video for “Stupor,” below.